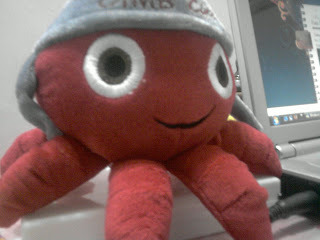 Well, here's how to Sign up for a CIMB CLICKS Online Account. Those who have CIMB Acc can sign up for you Or you can just sign up yourself if you have it. The CIMBClicks ID is the ID that you must use for subsequent sign-in sessions.It should be in alphanumeric format with a minimum of 6 and a maximum of 32 characters and alphabets. Password should be 8 characters. It has to consist of both alphabets and numerics characters. I came home and did my first ONLINE TRANSACTION !!! YEAH !!! Well, a truly apologize to those whom have read my horrible Manglish these past years about how to sign up for this back then. Recalling this incident as I was 19 yrs old and excited about having my own ATM card and most of all being able to do any transactions online without going out was definitely a WOW at that time. Of course, I started of "shopping" and "wasting" a lot of my money on Online transactions through online shopping but thankfully ! I was never scammed ! All these years, I had been using CIMB CLICKS and even doing Overseas transactions and transferring without a problem with CIMB and truly recommend this bank. Well, so Click here to know what transformation has gone through my life and my crazy adventures throughout this world! 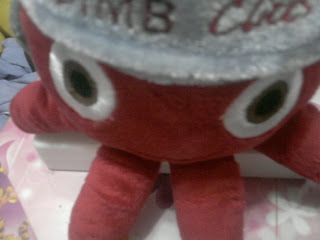 Btw, back then they would give out this FREE Octopus plush toy and I'm still keeping it ! 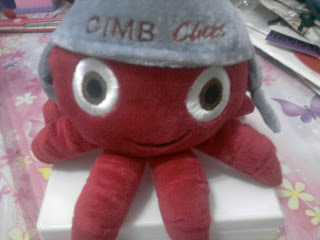 Thanks for Reading and All the Best in Registering CIMB CLICKS !